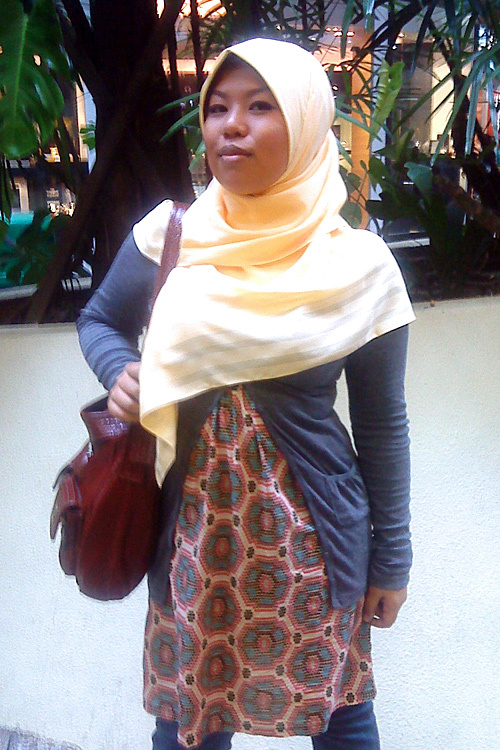 I love that yellow hijab, very beautiful! This is a well put together outfit and the color scheme is fantastic masha'Allah! the ensemble looks great, but i really love that pattern on the tunic under the sweater. Wow, great outfit! I LOVE LOVE LOVE that she has her scarf pinned properly,over the chest and covering all the hair. Girls, we need to dress like this more often! !